For the second year in a row, Time Out Los Angeles honored the best and brightest of L.A.’s bar scene at the 2017 Bar Awards. We gathered over drinks with our panel of industry experts to discuss which bar rooms, teams and ‘tenders really wowed this past year. The same voting caveats remained: Panelists were barred from nominating or voting for their own establishments. The results? A truly top-notch lineup of exemplary local drinkeries, a stirred mix of both aged favorites and sparkling rookies. Cheers! Approaching the imposing orange door to E.R.B. 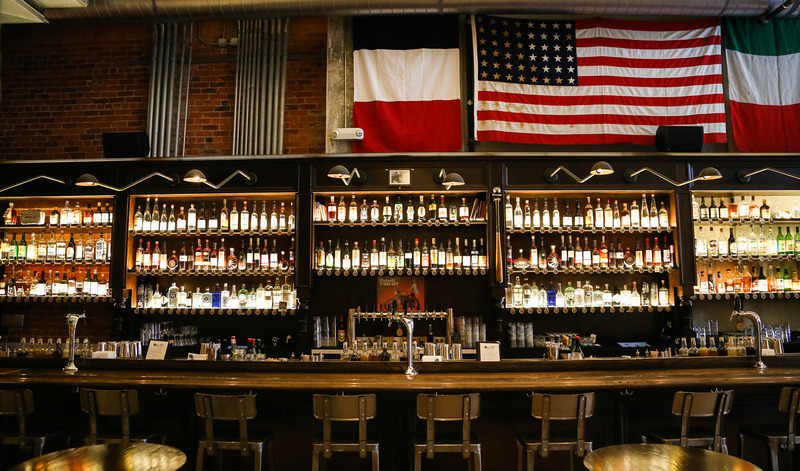 (Everson Royce Bar, technically speaking), it’s hard to know what to expect behind it. But inside, the bar is not only bustling, but bright; more importantly, the elegant space serves about a dozen expertly concocted cocktails, each with creative surprises and delightful twists on classics. Out back, a spacious patio offers ample seating for drinking, dining and stargazing through the twinkle of overhead light strings. The warmth of E.R.B.’s atmosphere extends to its service, too; despite a packed house, the bar feels remarkably personal. The guy walking around like he owns the place in fact does, and he’ll deliver your drinks, to boot. 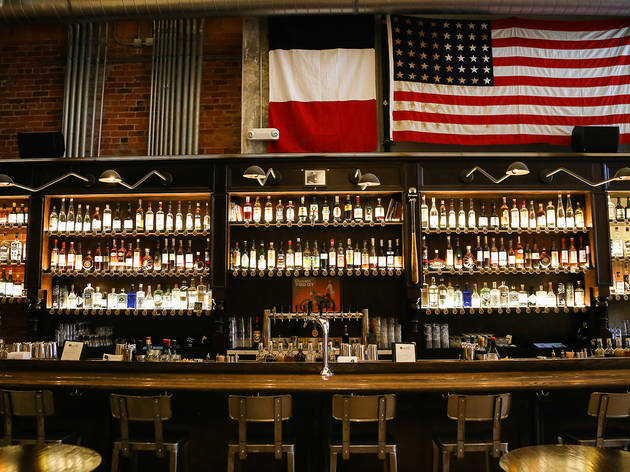 The bar has become incredibly popular since opening, but co-owner Randy Clement remains behind the bar and still treats every patron with the priority of a VIP. Simply put, this place knows how to make a person feel special, and in this town, that goes a long way. 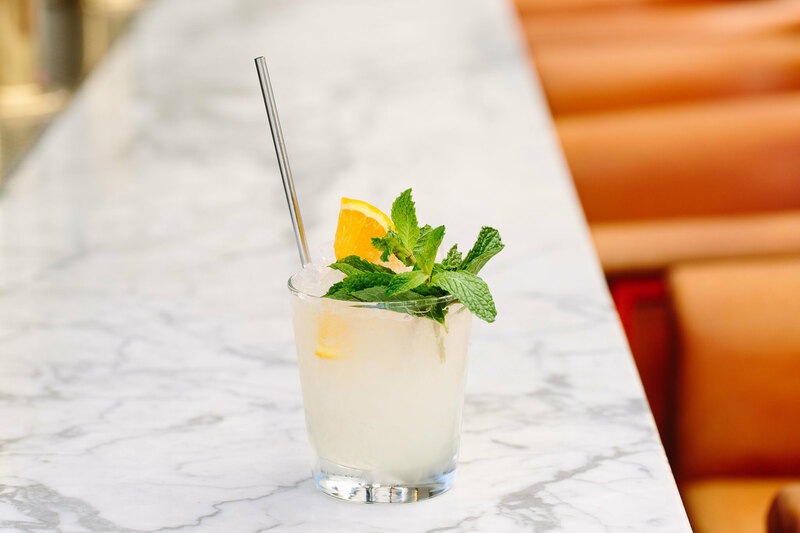 Bar Clacson has answered the prayers of Downtown Los Angeles imbibers who have been seeking a watering hole refuge that isn’t a speakeasy, a dive bar or a night club. A bar where you can show up as you are and get to know your bartenders, enjoy pieces of bruschetta with your beverage and play a game of pétanque (France’s version of bocce ball). 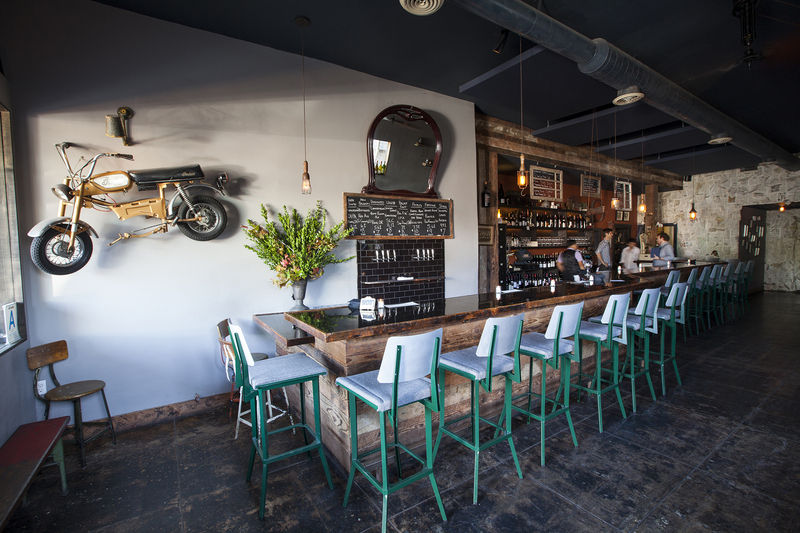 It has all the makings of your neighborhood Cheers, but with French, Italian and American influences. While the theme could be considered kitschy, it works, thanks to the all-star roster of hospitality gods overseeing Bar Clacson: Cedd Moses and Eric Needleman of 213 Hospitality (Normandie Club, Arts District Brewing Company), Eric Alperin of The Varnish, and Richard Boccato of Dutch Kills and Fresh Kills Bar in New York City. 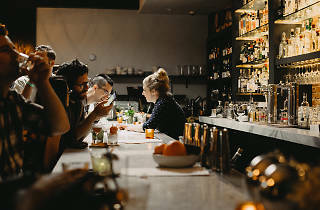 It’s safe to say that these guys know how to create a successful beverage program, so instead of ordering a beer on tap or a glass of Lambrusco, order from the cocktail menu which boasts specialty drinks that accommodate every spirit preference, as well as low-alcohol (ABV) spritzes. 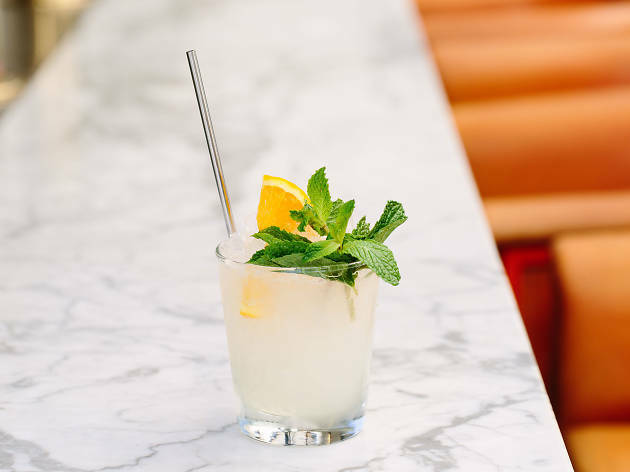 Bar Clacson is the type of place you can picture yourself celebrating birthdays, hosting happy hours, or enjoying a date or a low-key evening with friends. Pretentiousness and indifference doesn’t exist here, among staff or patrons. And for that to be found in Downtown L.A., we say, amen. Imagine your grandmother’s house: Warm and inviting, with no shortage of antique knick-knacks. Now add a ton of booze. Welcome to Big Bar which, despite its name, is actually quite small—about 15 people inside feels snug, though more like a friendly hug than a claustrophobic nightmare. Yet somehow this utterly vintage nook adjacent to Alcove Cafe & Bakery hosts inevitably-packed events with utter ease, from weekly bartender takeovers to monthly movie-themed drinks coinciding with a screening on the patio. Everything about the space is relaxed: A gentle breeze blows through open doors, golden light radiates from tea candles and stained-glass chandeliers, and the prevailing scent is a mix of fresh-squeezed citrus and truffle fries. Even the bistro stools that line a pristine marble-top bar are comfortable. 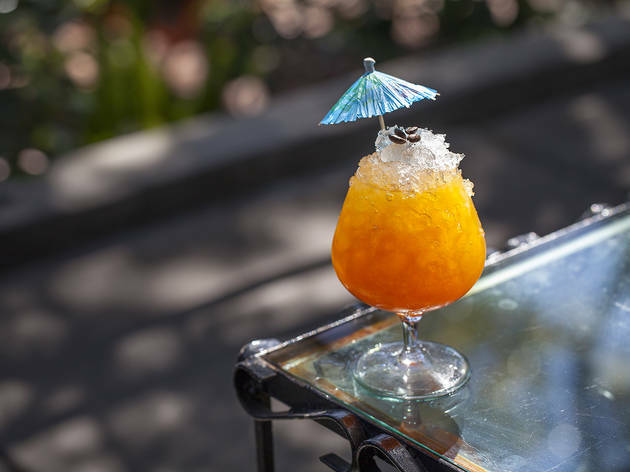 Add to that an uncomplicated yet whimsical drink program from master mixologist Cari Hah (Clifton’s, Three Clubs, City Tavern DTLA), and you’ve reached neighborhood bar heaven. Sit back, relax and sip a handcrafted swill, all prepared with fine spirits, house-made syrups and, most importantly, a whole lot of love. The team making your drinks work in perfect sync with one another; the bar team here is so strong and so loyal that collectively they've worked at Big Bar for more than 46 years. It's the kind of staff you need for a neighborhood favorite, where there's love on all sides of the bar. 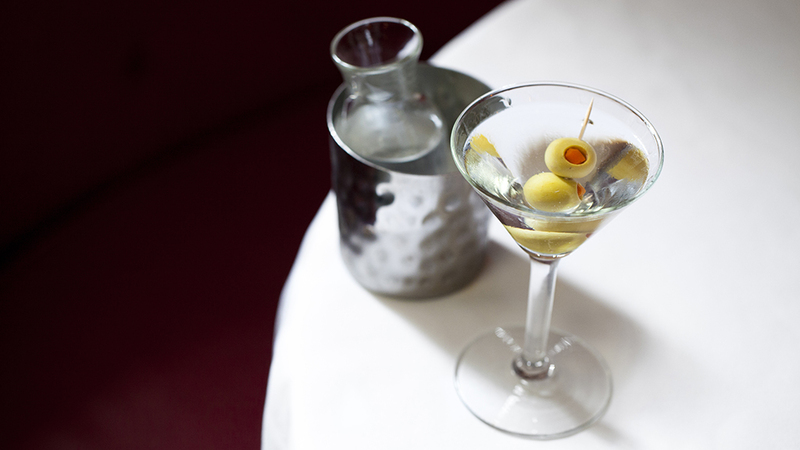 Beyond The Normandie Club’s secret back door, a world of curious mixology awaits. 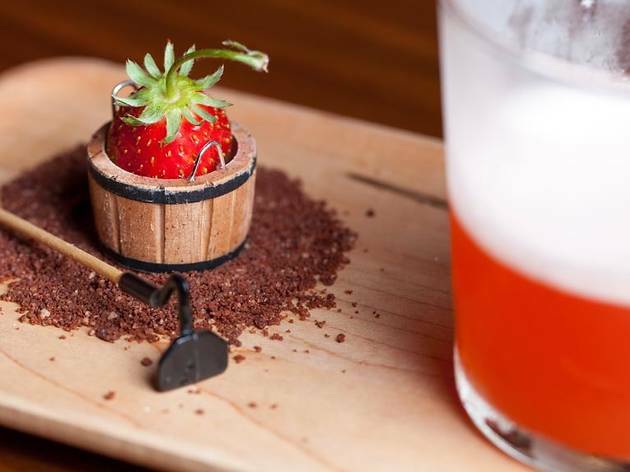 Inside a room just large enough to seat 27 adventurous imbibers, fog rises from a Big Sur-inspired drink made with pine-infused brandy, and hot s’mores are served alongside a smoked chocolate sazerac made with a graham cracker-washed bourbon. Welcome to The Walker Inn, perhaps the most ambitious project yet from the booze wizards at Proprietors LLC and 213 Nightlife. Lit like a members-only Japanese teahouse and draped in mid-century decor, this intimate bar often requires a reservation two weeks in advance and plenty of disposable income. Swills off both the themed (The Walker, which changes every month or two) and classic (The Book) menu in the lounge portion of the room are around $20 a pop. For that price, you get a wet towel, water and a liquid appetizer, an amuse-bouche of sorts, with your themed libation. But the real cocktail geeks are nabbing a coveted stool at the bar and ordering omakase-style. 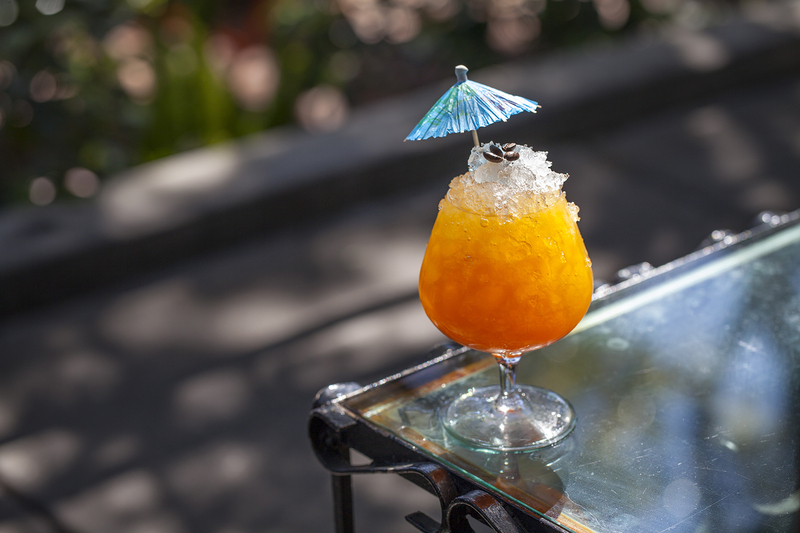 Think of it as “dealer’s choice” taken to the nth degree: the talented bar crew will blow your mind with two wholly original beverages tailored to your every whim. 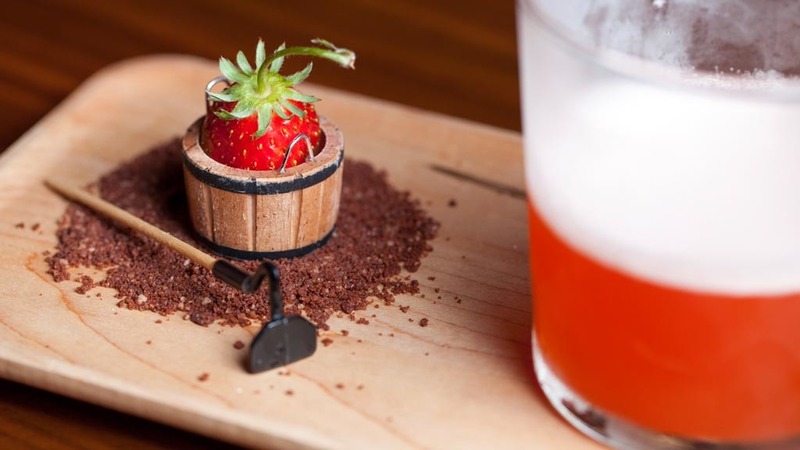 Whether you opt for omakase or order à la carte, The Walker Inn is an experience worth checking off your booze bucket list. The entrance to this taxidermy-peppered saloon is tucked inside a converted back room of Cedd Moses' Seven Grand downtown. Press the call button and an unmarked door inches open just wide enough to allow an impeccably dressed host to signal patrons inside. 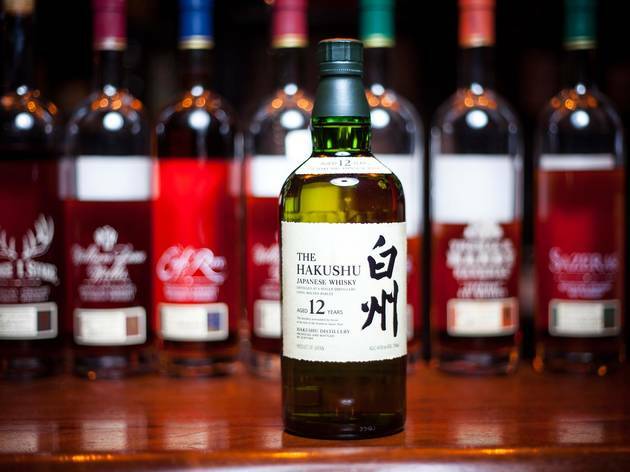 What awaits is a whiskey lover's dream. 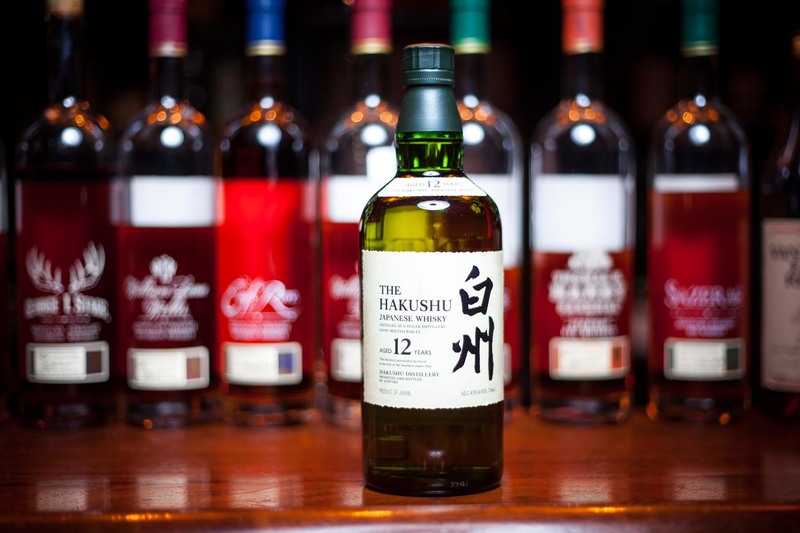 Sip from a collection of 120 Scotch and Japanese whiskies, American ryes and bourbons—many extremely rare, like cult favorite Pappy Van Winkle 15-year, or try one of three cocktails stirred to perfection, including the Tokyo Highball made with Suntory Hakushu 12-year. There is no room for standing (it's also not allowed) in this 18-seat cloak-and-dagger barroom. The look is morose and manly, with furnishings that include jackalope heads, a working antique gramophone and mahogany whiskey lockers ($250 for the big spenders). A well-informed staff is eager to talk both connoisseur and novice through the carefully curated menu; the service alone is well worth the effort of securing a seat. Not since République opened has there been so much fawning over a restaurant’s space. Yet Redbird—which comes to us from chef Neal Fraser and his wife and business partner Amy Knoll—deserves every bit of oohing and ahhing. The stunning restaurant resides in the old rectory of Vibiana, a Roman Catholic cathedral turned events space, and emits an old-school formality—not just in the details of the beautiful space, but the service, too. Redbird’s cocktail list is a lush historian’s dream. Each drink lists the book (and year) where it was first mentioned, so that you know just how O.G. your drink really is. 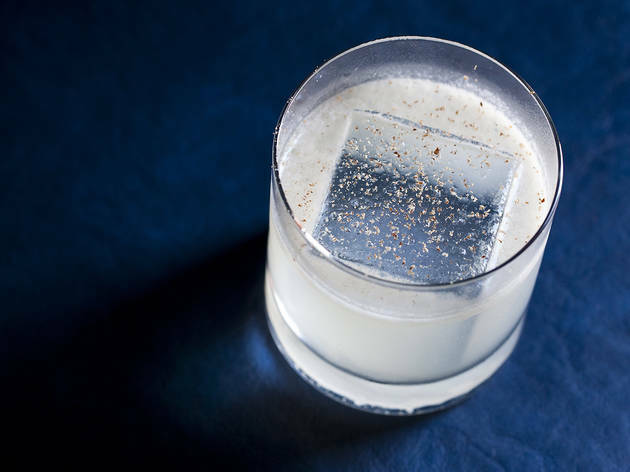 But the Tobin Shea-designed bar program isn’t all about brains—there’s muscle behind these cocktails, too. Try the KCB: gin, apricot and cumin-spiced kümmel result in a savory flavor profile that meanders between sweet and spicy. 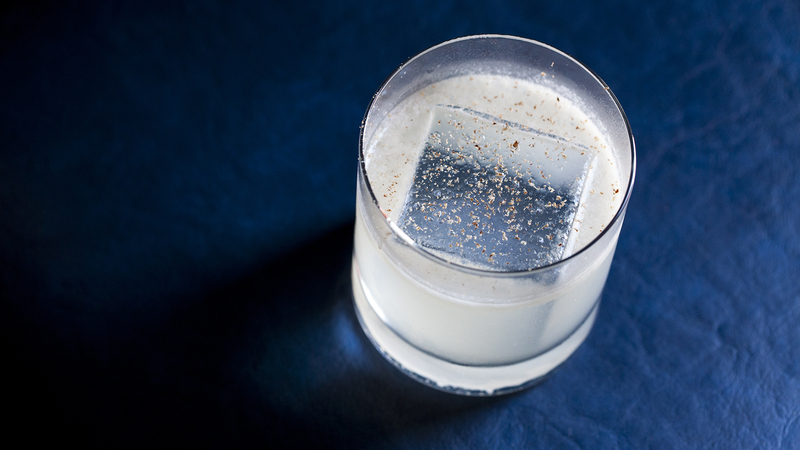 For a more traditional gin drink, the Monterey Sour is a comforting cocktail that dates back to 1862. Also on hand: plenty of wine to choose from, which Redbird’s sommelier Ben Tieg will gladly walk you through. 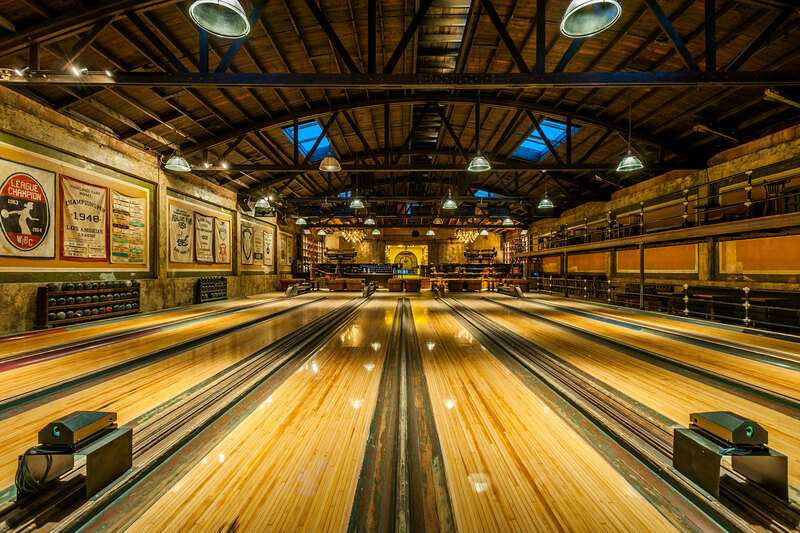 There are few L.A. venues more beautiful than Highland Park Bowl at the moment. Formerly a cherished music venue called Mr. T's Bowl, the 1933 Group (La Cuevita, Harlowe, Idle Hour) took over the space in 2015 after the previous owner passed away, and began an extensive renovation process that would ultimately transform the space into a gorgeous, steampunk-esque bowling alley and bar. 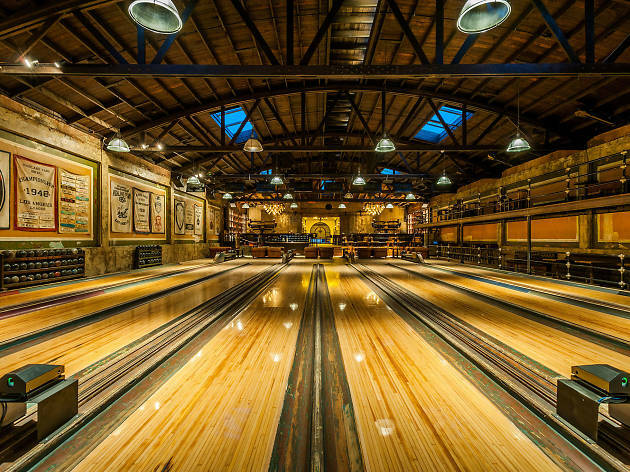 The details here are meticulous, from chandeliers made out of repurposed pinsetters to old bowling banners that line the alley's eight lanes. Bowlers can wait out their turn on leather Chesterfield sofas and order from a menu boasting Neapolitan-style pizzas, craft cocktails and a rotating selection of local beers. Behind the lanes, two bars provide plenty of space to hang even if you're not here for bowling. Upstairs, you'll find a stairwell display of bowling artifacts—trophies, photos, medals—set up behind glass portholes, and bathrooms that include old bowling lockers. Seriously, guys, they thought of everything. The price to rent a lane fluctuates between $50 and $70 for an hour, depending on the date and time, but with each lane holding up to six people, it's a solid—and standard—fee. 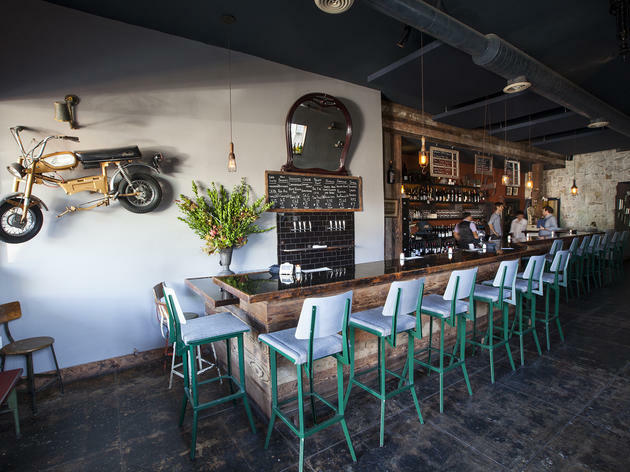 Matthew Kaner and Dustin Lancaster, co-owners of this popular Los Feliz bar, are happy to talk beer and wine—the focus on small production, off-the-beaten-path old-world and new-world selections from around the globe. There's also a selection of light-fare snacks and, more recently, brunch on the weekends. Try Carnivore's Special Flatbread (rosemary, cheese and cured meats) with a glass—note the proper Riedel stemware for optimal sniffing—of something leathery and French. Kaner and Lancaster like to feature wines from obscure and familiar regions, but not arbitrarily—there’s always a story behind the wine, and they're happy to share. Go early with a book and sit beneath ironic bookshelves supporting vintage cameras. 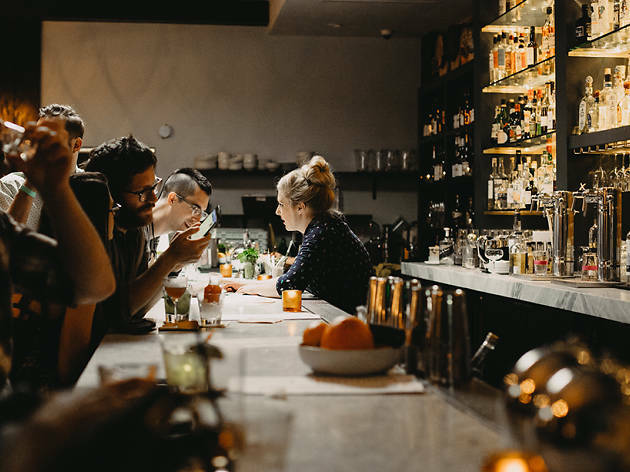 Once the bar fills up (and it does), candles and dim Edison bulbs illuminate a well-dressed neighborhood crowd of food and wine buffs. 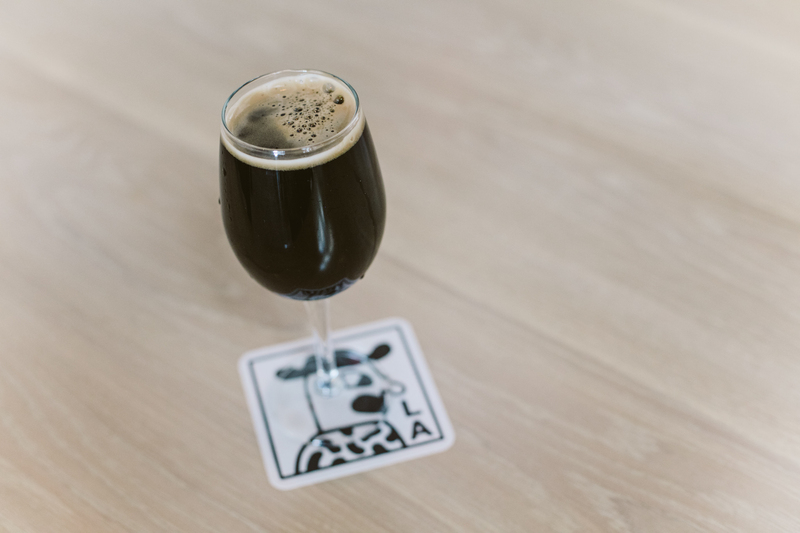 If you're an L.A. beer drinker and have never heard of Mikkeller, that's about to change. Started in a kitchen in Copenhagen in 2006, Mikkeller is now acclaimed as one of the most innovative craft brewers in the world. Locations in Belgium, Denmark, Iceland, Korea and Thailand export suds to more than 40 countries. 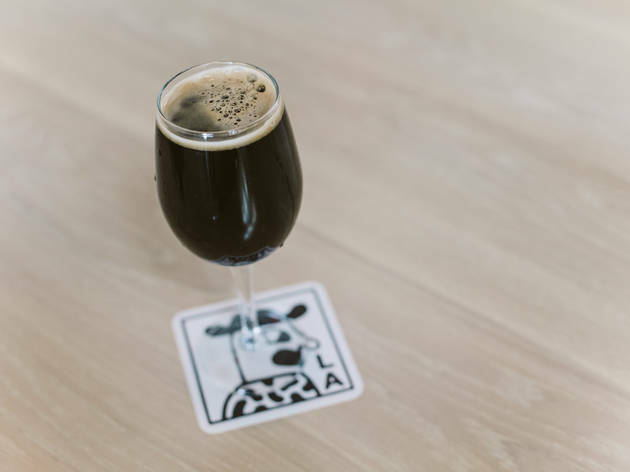 As for the U.S., all four Mikkeller operations are in California, and their largest tasting room just happens to be in Downtown L.A. The Downtown menu is packed with original Mikkeller brews and dozens more from local Southland breweries. The 50-tap system is the only one around that can adjust the Co2 and Nitro balance and even serves beer at different temperatures to accommodate each beer's specifications. Known for intense, experimental flavors, they aim to make beer that rivals wine and champagne as a match for gourmet food. It seems to be working: Mikkeller has created house beers for Michelin-star restaurants. With a pleasant and knowledgeable staff, a menu a mile long and a modern beer-hall style venue, Mikkeller could be the last new beerhouse you’ll ever need to discover. Open since 1919, the iconic Musso & Frank Grill is Hollywood's oldest restaurant, a steak-and-cocktails joint formerly favored by the likes of Charlie Chaplin and Raymond Chandler. With its many obscure dishes and individually priced sides (and salad dressings! ), the menu can be daunting. However, some dishes are fail-safes. At breakfast, grab an order of crêpe-thin flannel cakes; later in the day, the grilled meats are excellent. And every table gets a half-loaf of house-made sourdough bread, the perfect accompaniment to a dry martini, which is the real reason we keep going back. 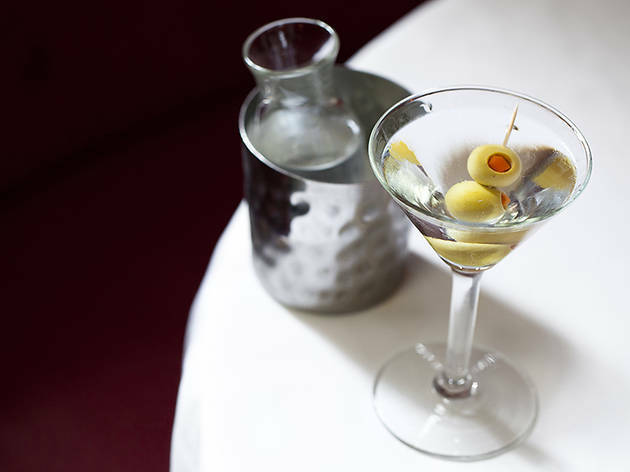 Sitting at a booth or the bar with a classic cocktail, we can feel the city's history all around us (though that may just be the gin).